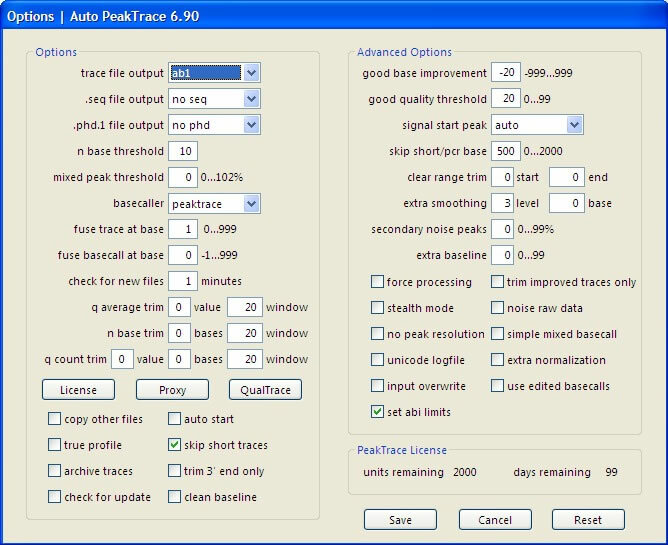 PeakTrace 6 (Auto PeakTrace 6, Auto PeakTrace 6 RP and the Linux PeakTrace 6) has a number of very powerful options that may not have been explored by many users of older versions of PeakTrace. 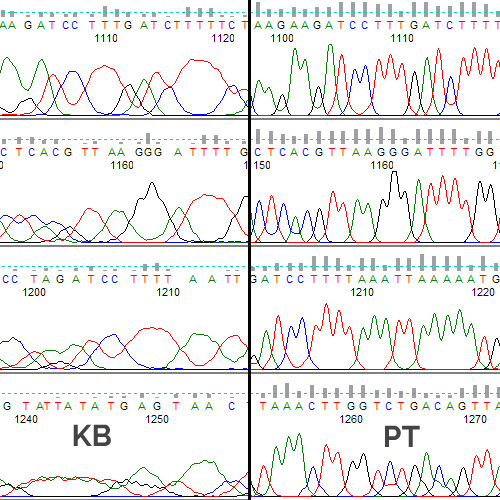 We understand that most of our customers are busy running a sequencing facility and so don’t always have the time to look into each new PeakTrace feature on release. To help we are creating a new series of posts looking in depth what these new options can do, how they can best be used, and how they can help our customers make the most of PeakTrace. 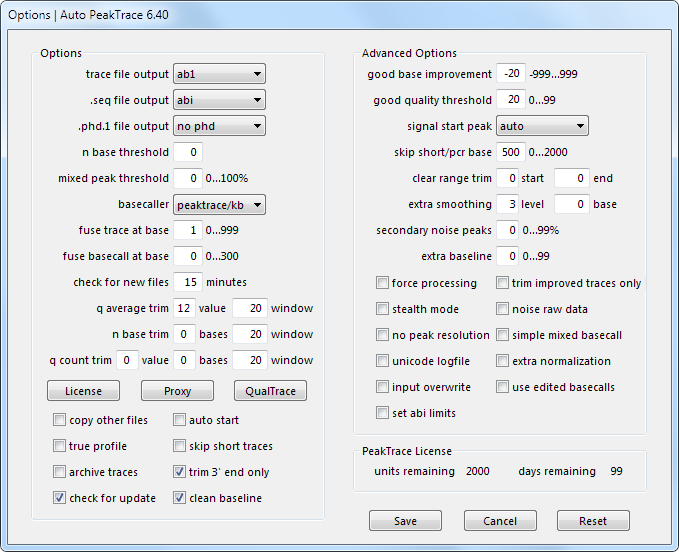 We have released PeakTrace 6.92. This is a bug fix and enhancement release and is the culmination of six months hard work by the team at Nucleics. We have gone through nearly every line of code within PeakTrace to improve and enhance the processing and basecalling of Sanger sequencing traces. While there is no single massive changes from all this work, the cumulative effect of all these small changes adds up to a major improvement. The full list of changes includes. Support for additional run conditions including ultra low voltage runs. 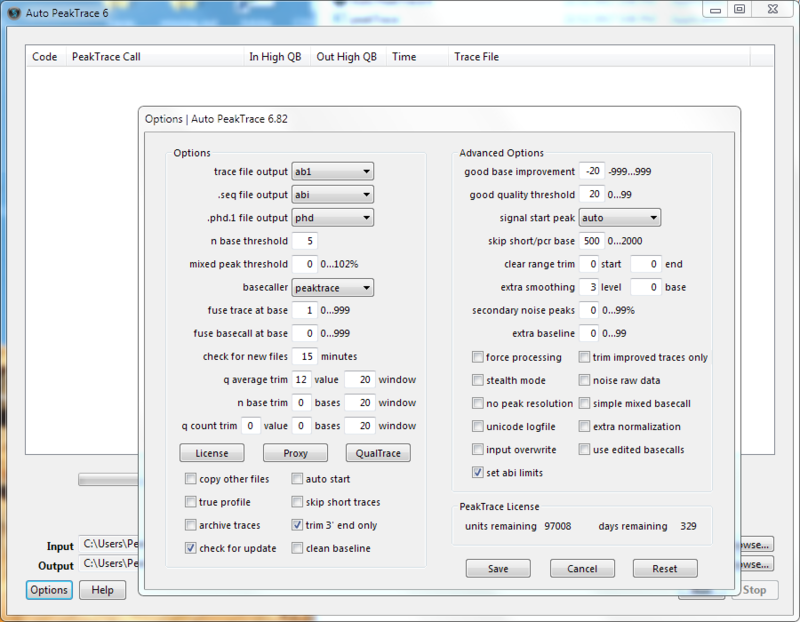 Improved basecalling and processing of PCR product traces. 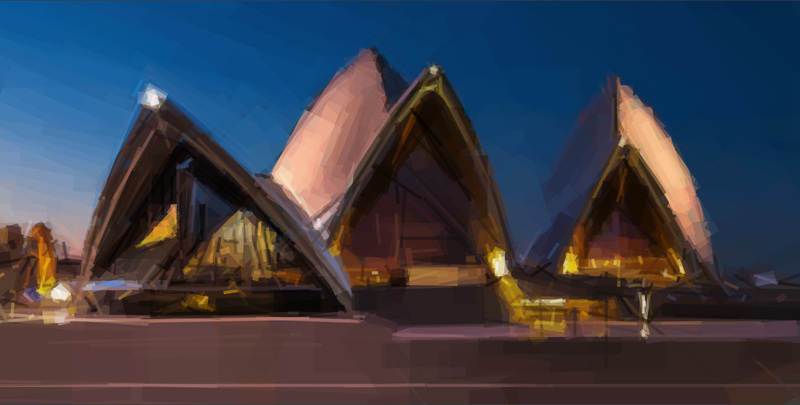 Improved processing of traces with polymorphic peaks. Improved processing of traces with long single base runs. Improved removal of air bubble spikes in the trace. 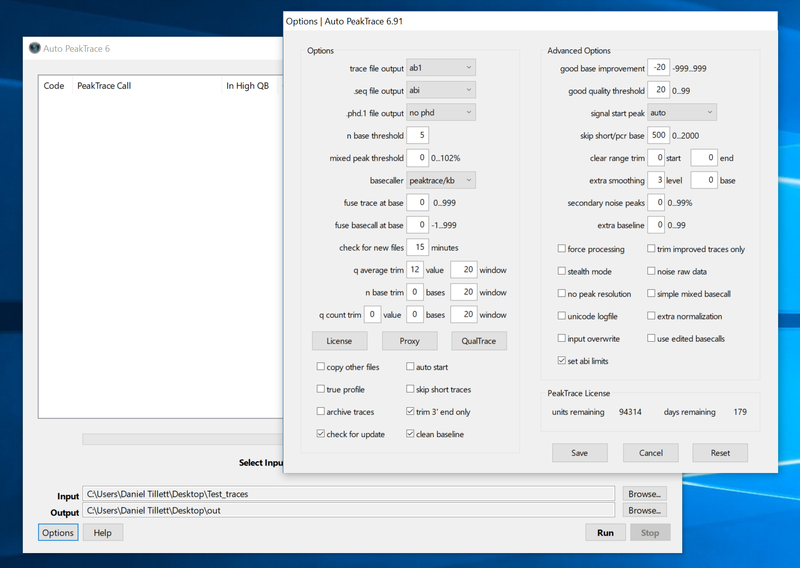 Improved clean baseline and extra baseline processing. 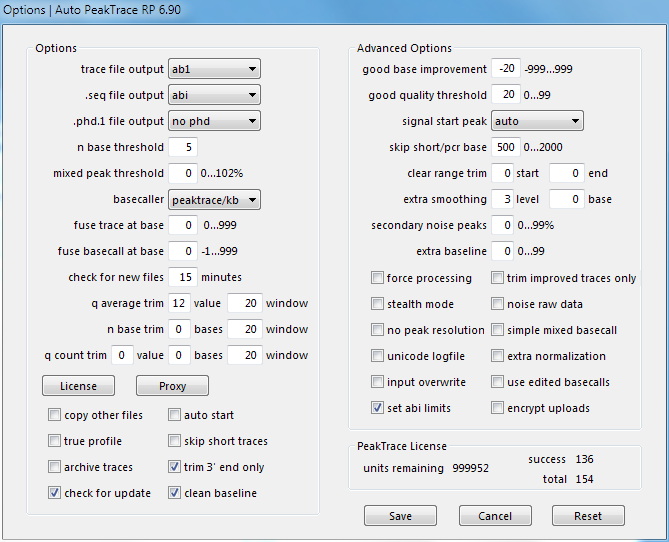 PeakTrace 6.92 is live on our servers so our PeakTrace RP users will be automatically getting the benefits of 6.92. 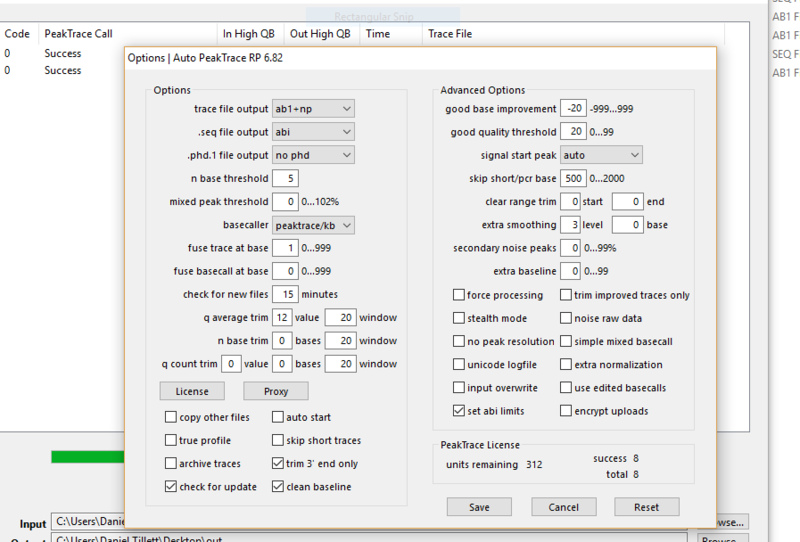 Over the coming week we will be releasing updates for the standalone PeakTrace:Box for Linux and Windows, along with an update for the Auto PeakTrace RP client program for Windows and MacOSX. We will make further announcements when these updates are released. We have updated the Nucleics website to make it easier to navigate and find information. This will be an work in progress over the coming months so there should be plenty of changes to look forward to. We have recently added support for buying PeakTrace RP units in your local currency with local VAT/GST/Sales taxes include via paddle.com. The list of currencies that can be used includes: Euro (EUR), British Pound (GBP), Chinese Yuan (CNY), Polish Zloty (PLN), Swedish Krona (SEK), South African Rand (ZAR), Swiss Franc (CHF), Brazilian Real (BRL), Ruble (RUB), Australian Dollar (AUD), Canadian Dollar (CAD), Hong Kong Dollar (HKD), Singapore Dollar (SGD), New Zealand Dollar (NZD), Danish Krone (DKK), Hungarian Furint (HUF), Czech Koruna (CZK), Indian Rupee (INR). While this new way of buying PeakTrace RP units can be advantageous in some situations, the downside is the cost is greater due to the extra fees charged by Paddle. The major use case is for customers located in India who can now use a local Indian credit card to buy PeakTrace RP units without the need for an international credit card. For most other customers the current US$ payment system (handled by Paypal) is likely be best option.